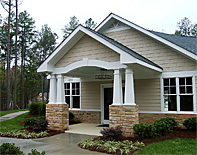 Beautiful, square, tapered PVC porch columns combine the convenience of low maintenance with a classic look. Customize these weather-resistant and insect-resistant columns to wrap around an existing post. Choose from elegant smooth and paneled styles. Non-tapered, square PVC porch columns add style and character to your indoor and outdoor spaces. Choose from plain, fluted, raised or recessed panel styles. Customize dimensions to wrap around your existing post and enjoy your durable columns for years. Round fiberglass porch columns are designed for load bearing and look gorgeous both indoors and on your porch. The durable columns are cast in aluminum molds and are available in round, tapered and non-tapered styles with smooth, fluted or paneled surfaces. 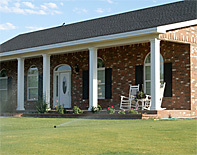 Choose from tapered and non-tapered styles of square fiberglass porch columns for your home and porch. These strong and stylish load-bearing columns blend classic appearance with convenience and durability and are available in smooth, fluted and paneled surface styles. 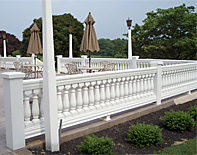 Add personality to your deck, patio and other spaces with durable PVC newel posts. 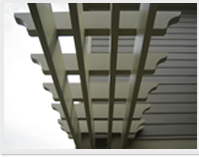 They can be customized to any size and complement your porch columns and railings. Smooth, raised and recessed panel options make these newel posts perfect for that fine finishing touch. 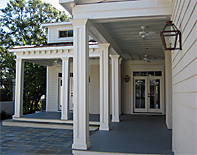 Enjoy the timeless appeal of traditional craftsmanship with charming Colonial and Classical style wooden porch columns . Made from real wood, these columns lend an authentic character to your home. 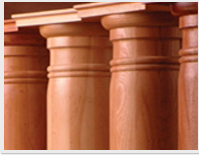 Customize your columns with our selection of fine wood and bases and capitals. Pre-hung and weather-stripped dormer doors feature solid core MDF and are custom built to fit any rough opening. Ensuring year-round sealed protection for attic and storage spaces has never been easier. 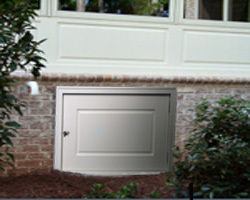 Durable PVC crawl space or foundation doors protect under house spaces from unwanted elements. Custom built to fit any masonry opening, these doors ship pre-hung, do not rot or rust and keep pests out. 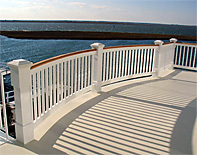 Make your deck, patio and other spaces safer to enjoy with high quality PVC railings. Strong yet stylish, these weather and insect-resistant railings come in a number of styles and heights to suit your space. 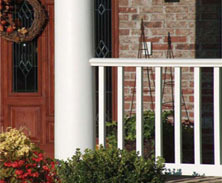 Classic balustrades enrich porches, stairways and patios. Durable and lightweight polyurethane balustrades are weather and rot-resistant and very low maintenance. This makes them excellent choices for your home. Choose from our durable and beautiful PVC pergolas and trellises to add beauty, function and privacy to your outdoor space. 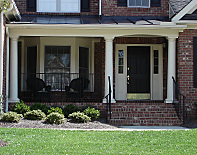 The kits are easy to install against a wall or supported by porch columns. They provide shade, support vines and serve as pathways to your private garden retreat. 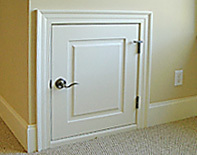 Enjoy custom made millwork – the hallmark of a truly beautiful home – without having to worry about maintenance. 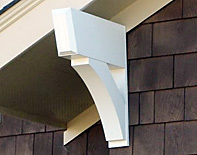 Finely crafted PVC brackets, valances and gable ends made to your exact specifications are easy to install and help you set your home apart for years to come. © Copyright 2014. Curb Appeal Products. All rights reserved.